Includes up to 5 qts. of motor oil, filter, lube and maintenance check. Extra charge for premium products. Good at participating locations. Coupons may not be combined with any other offer. Coupon code ABWBVP7. Coupon void if altered. Expires 05/07/2019. Includes up to 5 qts. of motor oil, filter, lube and maintenance check. Extra charge for premium products. Good at participating locations. Coupons may not be combined with any other offer. Coupon code: ABWBVP7. Coupon void if altered. Expires 05/07/2019. Select Preventive Maintenance Services: Radiator Fluid Exchange, Transmission Fluid Exchange, Power Steering Fluid Exchange or Serpentine Belt Replacement. Good at participating locations. Coupons may not be combined with any other offer. Coupon code: ABWBVP7. Coupon void if altered. Expires 05/07/2019. When was the last time your vehicle experienced routine car care? 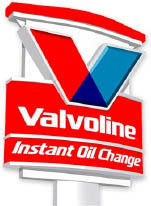 Valvoline Instant Oil Change in Framingham, MA is offering affordable auto service with oil change coupons. Valvoline's certified auto mechanics provide extensive car maintenance, including transmission fluid change, tire rotation and serpentine belt replacement. No matter what your auto repair needs may be, our skilled mechanics are here to serve you. We've been providing high quality, fast and affordable auto services for more than 25 years. While we're performing an oil change, we will give your vehicle a full inspection. Allow our knowledgeable technicians to diagnose any auto repair needs and help ensure your car is ready for the road ahead. Valvoline coupons will save you money on your next auto service. Print them out and visit us in Framingham, Massachusetts today! At Valvoline Instant Oil Change in Framingham, MA, we take pride in our work and we are committed to making routine auto maintenance hassle-free for you. We offer oil changes in about 15 minutes, radiator and transmission fluid changes and more. Print our oil change coupons to begin saving on your next auto service. Valvoline Instant Oil Change in Framingham, performs a variety of preventive auto repair and maintenance services for all makes and models, including:, Drive-Thru Oil Change, Transmission Service, Radiator Service, Gearbox Service, Air Filter Service, Tire Rotation, Serpentine Belt Service, Battery Service, Light Bulb Replacement, Wiper Blade Replacement. Synthetic Motor Oil, Synthetic Blend Motor Oil, Conventional Motor Oil, Diesel Motor Oil, MaxLife Motor Oil: Great for cars in stop-and-go traffic or with high mileage., NextGen Motor Oil: Good for your vehicle and the environment. This oil is made of 50 percent recycled oil. 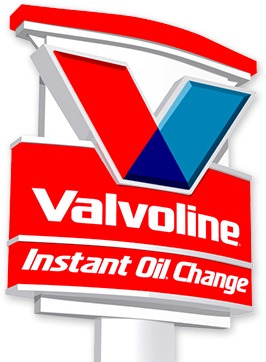 Valvoline Instant Oil Change in Framingham, MA also services Southborough, Needham, Sherborn, Hopkinton, Ashland and other Massachusetts neighboring communities nearby.